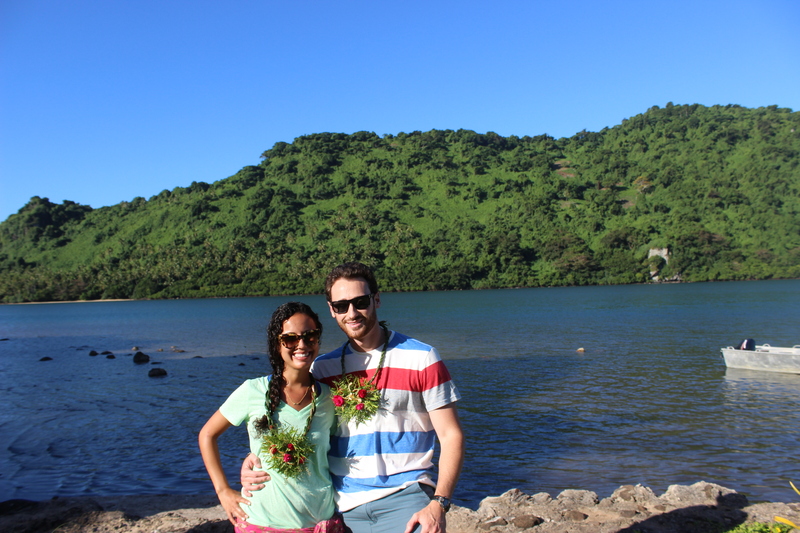 Piper at Remarkable Honeymoons was such a joy working with when planning our honeymoon to the amazing Fiji! Prior to booking at the Lalati Resort, Piper offered many resort/destination options and gave full details, recommendations, and advice. Anytime I had a question (which was often), Piper always got right back to me, wherever she was–home, office, vacation! The honeymoon was amazing, it was the last thing on our mind, I didn’t have anytime to plan a vacation after our wedding, we got to the airport and everything from that point forward was taken care of: taxi rides, hotel, amenities, taxi ride back to the airport, day room at a hotel while waiting for our flight, and access to the airline lounge (which was an AMAZING perk, we had a meal, drinks, and internet access at no extra cost). Our airline seats were great!! When we arrived to the airport in Fiji we were greeted with beautiful flower leis and cold water and moist minted towels (which was amazing after a 15 hour travel time). When we got to the resort, Piper had arranged for champagne and fruit to be waiting in our room. We had no hiccups or nothing bad to say the whole trip. Traveling from Northern California to Fiji is about 15+ hours… the fact that we had no travel issues was AMAZING, and the fact that we didn’t have to worry about a thing was even better, we were never stressed or worried, which is what you need after planning a wedding for a year. We are so happy and we will recommend Piper & her services ANYTIME to ANYONE!